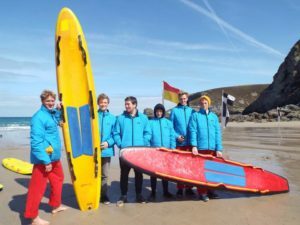 Many of those growing up in Cornwall’s coastal communities will have benefitted from learning sea safety skills with a local surf lifesaving club. Skills that will keep them safe and allow them to make the most of this free resource for fun and fitness. 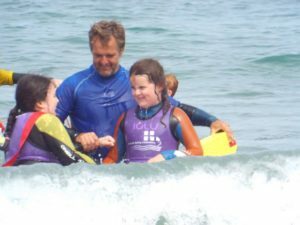 We will bring the surf lifesaving experience to children in year 6 through a fun and active day at the beach. Through the surf cadet programme we’ll introduce the skills and awareness that will keep them and their families safer at the beach. We will support our volunteers with the training & equipment to develop lifesaving and coaching skills that will benefit others. We hope to improve the retention of young adults in surf lifesaving by providing opportunities to gain transferable skills. We will continue to upgrade the equipment that supports our volunteer led lifesaving patrols – the front line in keeping our communities and visitors safer at the beach. We hope to recruit more volunteers and extend local lifeguard cover even further. You can read more about these patrols on our Community Lifesaving page. 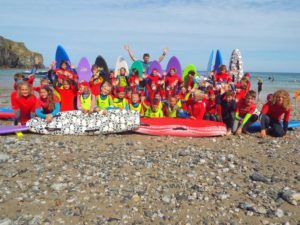 During the summer of 2017 St. Agnes SLSC ran an “Awards for All Project” to deliver the SLSGB Surf Cadet program to local children from the community around St. Agnes, Cornwall. This was very successful and the people from Big Lottery liked it so much that they selected it from a large number of projects, to be entered and subsequently shortlisted as one of only five in the South West to be considered for a Peoples Project Award. The Peoples Project Award was decided by a public vote, which thanks to great support from the local community, the club won and was awarded full funding for the project! This opportunity gives St Agnes SLSC the chance to expand the project to 400 local children this year, offer more Graduate Lifeguard courses and the Full Lifeguard course. The funding also gives us the opportunity to upgrade the equipment for our very active voluntary patrols including a full Rescue Jet Ski, Rescue Raft and Quad Bike which will give us the capability to launch quickly from the beach and rescue anyone in trouble around our direct coastline.